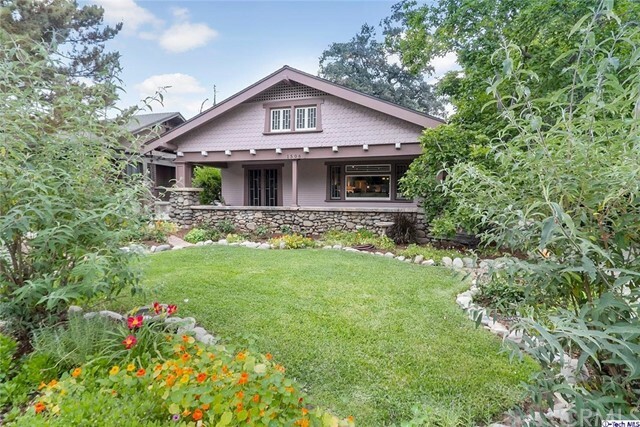 One of South Pasadena's craftsman bungalow treasures. Beautiful natural wood wainscotting, built-ins, rock fireplace in the den, and spacious separate breakfast room. Kitchen recently remodeled, as well as a new master bathroom.This home has been lovingly maintained, with care in retaining the character. Close to Holy Family Church, middle school and high school, plus easy walk to shopping and dining. A pleasure to show, and a South Pasadena Treasure.